Calling All Chili Heads! Are you ready for some AWESOME “Green Eyed Monster Chili”? 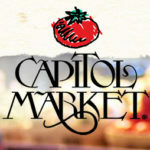 WV Eye Consultants will be competing in the Annual “Green Chili Shoot Out”, at the Capitol Market in Downtown Charleston tomorrow. Come out and try some of our HOT Chili on a cold afternoon. Sample chili tickets will be available for purchase and a portion of our proceeds go to the Michael J. Fox Foundation for Parkinson’s research. This event is a sanctioned cook-off with the International Chili Society. We need your support to win and we enjoy getting out in our community to help a great cause like the Michael J. Fox Foundation. Our “Green Eyed Monster Chili” is full of fresh veggies, grilled chicken and a secret twist. Come for a taste and see if you can guess what our secret ingredient is. Tasting starts at noon. See You Tomorrow! Grand Opening & Welcome Dr. Wiles!